Duke University Press, 9780822359067, 256pp. William Craft Brumfield is Professor of Slavic Studies at Tulane University. 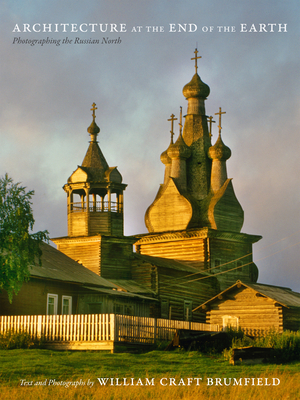 Brumfield, who began photographing Russia in 1970, is the foremost authority in the West on Russian architecture. He is the author, editor, and photographer of numerous books, including Lost Russia: Photographing the Ruins of Russian Architecture, also published by Duke University Press. Brumfield is the recipient of a John Simon Guggenheim Memorial Fellowship and was a Fellow at the National Humanities Center. In 2002 he was elected to the State Russian Academy of Architecture and Construction Sciences, and in 2006 he was elected to the Russian Academy of Fine Arts. He is also the 2014 recipient of the D. S. Likhachev Prize for Outstanding Contributions to the Preservation of the Cultural Heritage of Russia. Brumfield's photographs of Russian architecture have been exhibited at numerous galleries and museums and are part of the Image Collections at the National Gallery of Art in Washington D.C.